The Victorian town of Corindhap boasts just 100 people and one of Australia’s most unique pubs. 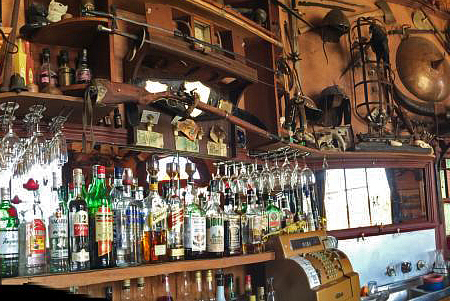 Owners Debra and Mark Kendell have been adorning the 150-year-old Break O’ Day pub with the ultimate eclectic array of paraphernalia since they moved in 16 years ago. Debra told PubTIC the couple found their way to the tiny former gold-mining town about ten years earlier seeking a “better life for our children”. When the pub – which was being used as a residence – came on the market, Debra seized the opportunity. “’What pub?’ he said,” Debra told PubTIC. In fairness, it had been closed for 27 years. And so it has evolved for a decade and a half now, to the point where the hotel dubbed “the quirkiest hotel in Australia” by Victoria’s The Courier, will this weekend be host to an arts festival: Autumn 2015 Group Exhibition. Organiser Lilith Lane told The Courier the curiously decorated pub was the perfect venue for the art-house exhibition, which was intended to be presented in conjunction with the hotel’s own décor. 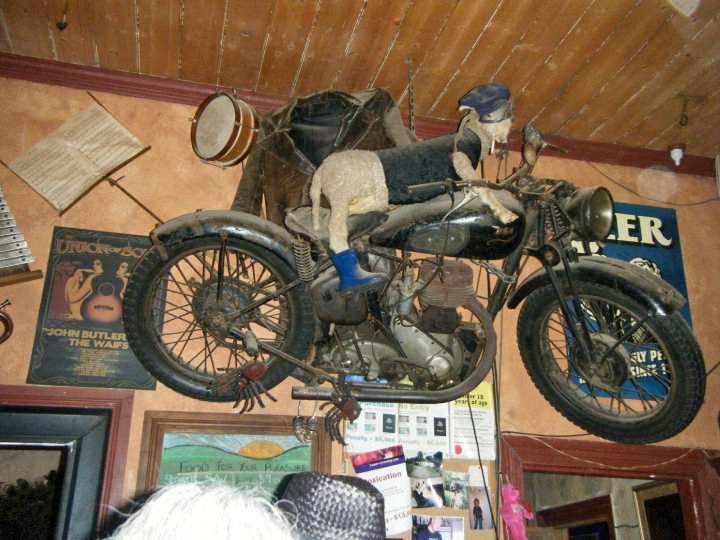 Before any of the artwork from photographers, painters and video artists even arrives, the historic pub already boasts unique items from the town’s history, and oddities such as a sheep wearing boots and a leather jacket riding a motorcycle, an Indian chief doorman, and a custom-made coffin used as a bookshelf. The couple use the striking decorations and all opportunities to promote the town and hotel as a destination, and enjoy a lot of weekend groups including birthdays and weddings. The coffin has proven to be a favourite, with even brides opting to get photos taken within it. Positioned on five acres, the venue has a lot of potential for further development, and regularly engages live music and local bands. Music will be taking place every weekend of the exhibition. Three of the five accommodation rooms are in service, with the others to follow soon. The six-week exhibition with occupy much of the vacant wall and garden space, and is sure to live to its billing of “art to people who might not enjoy going to an art gallery”.